After nearly losing the YGF GoPro in the Boulder, I figured that there were uglier places to lose YGFs moneymaker. Thankfully, I found it a full day later and I am currently sifting through 32 GBs of video. Full disclosure: by money maker, I mean it makes YGF zero dollars. 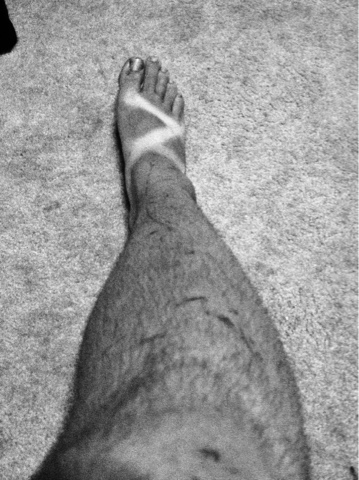 After one look at my legs and feet, I feel like I got the most out of this past week in Montana. 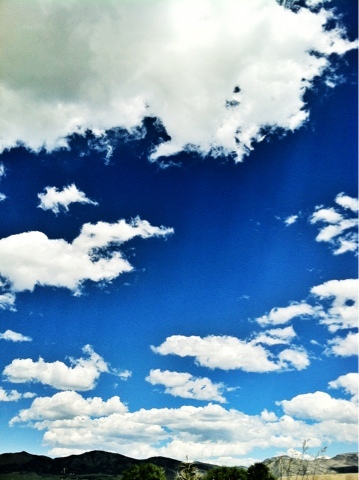 More pictures and a video from my brief time under the Big Sky to follow. For those of you plugged into the fly fishing blogosphere, you have probably read, seen, or heard about Redington's new Vapen rod series (here, here, here, here, here, or here). You might have read that the Vapen Red recently won the Best Fly Rod award at the EFFTEX show. You may have already formed your opinion about it's less than traditional grip. Maybe you're completely Vapen-ed out. The 9 foot 8 weight variety of the Redington Vapen Red. It weighs 4.1 oz. The Vapen rod series is composed of the Vapen (which has a traditional cork grip) and the Vapen Red (which has the much publicized PowerGrip.) 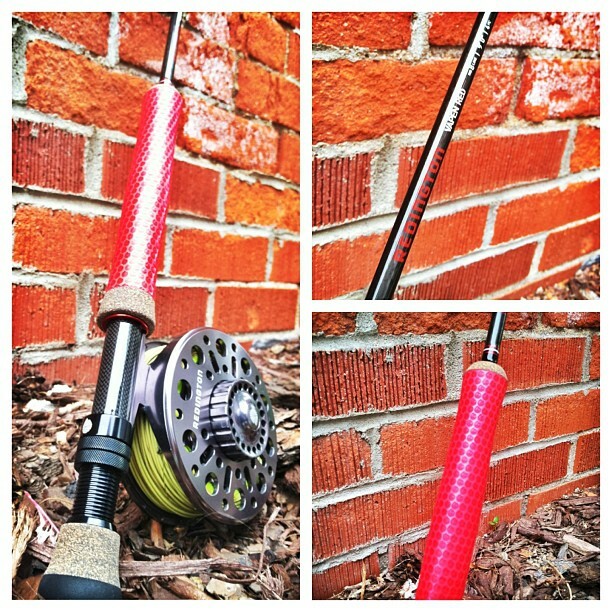 Both the Vapen and the Vapen Red feature Redington's X-Wrap Blank Technology. According to Redington, "the X-Wrap construction method involves wrapping one layer of super-high density carbon ribbon inside the blank and another counter-wrapped on the exterior surface. X-Wrap construction provides surprising power with little effort." The Vapen Red bends well. With the Vapen Red, anglers have the choice to pair the X-Wrap Blank Technology with the PowerGrip handle. According to Redington, the PowerGrip was created as a collaboration "with renowned golf club grip company, Winn Grips. Together they developed an advanced polymer grip that won't slip when wet, feels soft in the hand and reduces fatigue." The Vapen rod series will be available in August 2013 and Redington is offering both the Vapen and Vapen Red in three through twelve weights. Redington provided me with the opportunity to test an 9 foot 8 weight Vapen Red. Recently (and by recently, I mean the last three months), I have been focusing my angling efforts on carp. Fly fishing for carp requires several skills including the ability to present a fly extremely accurately and deftly, the ability to detect and capitalize on subtle takes, and the ability to withstand impressive and powerful runs. 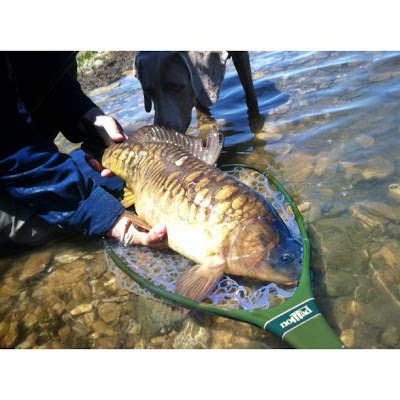 In many ways, fly fishing for carp provides an excellent opportunity to fully test the capabilities of a rod. 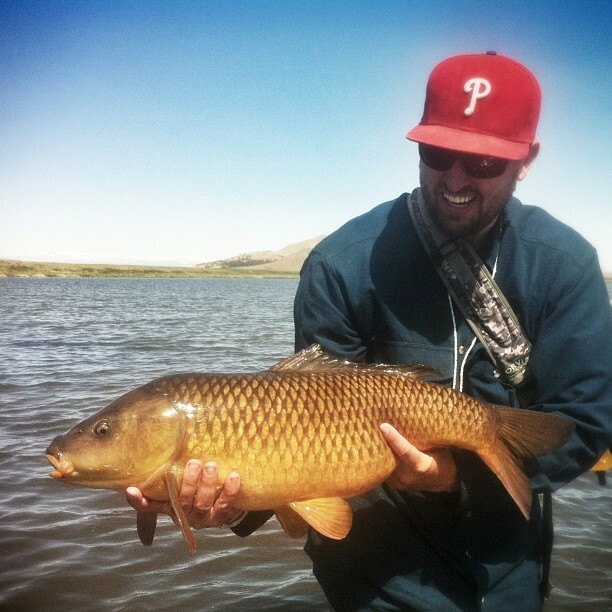 So, instead of blindly tossing streamers for toothy critters or big browns, I decided to take this red-gripped wonder onto the freshwater flats and let some of Colorado's finest golden ghosts do their best. If you don't like reading, I'll save you some pain. In short, I like this rod, a lot. The more I use it, the more I like it. If you like reading, please...read on. While the PowerGrip has seemingly drawn the most attention to the Vapen Red, I would like to discuss the performance of the rod itself first. Why? Because it is impressive. I find myself planning fishing outings around using the Vapen Red. Bottom line: It can shoot a lot of line (accurately) and handles shorter (more fishy) casts well. It does it's job. Very well. The Vapen Red corralled my first mirror carp. For the purposes of the review, I paired the 9 foot 8 weight Vapen Red with a Redington Delta 7/8 Reel and Rio Grand 7 Weight line. The rod is surprisingly light in hand, but also has a great deal of backbone. That is to say, you don't feel as though you might break the rod when your casting it. Sometimes, I get that feeling with lighter rods. As a general rule, I prefer a medium action or mid-flex rod. I have found that some fast-action rods feel like broomsticks when casting or fighting fish. I don't like that feeling. The Vapen Red is fast, but it is not a broomstick. That's a good thing. Redington's David Visnack said "You don't cast this rod, you fire it." I am not one for cheesy marketing jargon. In fact, sometimes I find it to be somewhat off-putting. However, Visnack's statement is spot on. During one of my many days on the carp flats with this rod, I had threw several tight-looped and accurate 60-70 foot casts with one false cast. fool a finicky carp on the surface. But, it was obvious the rod could do more. When the carp flats were deserted, I looked to test Visnack's statement as much as my somewhat inconsistent casting stroke could. With an entire fly line at my feet, I threw two false casts and fired. All 90 feet of the Rio Grand fired past me and unfurled perfectly. The Vapen Red's guides were left hugging neon yellow backing. The loop didn't collapse. The leader didn't bunch up on itself or throw the fly off to a side. Everything worked as it should. My jaw dropped. I couldn't believe how accurately I just casted 90 feet of line. I did it again. The rod performed consistently. I did it two more times, just to make sure it wasn't dumb luck. Now, a fair point can be raised. When will I need to cast 90 feet of line when fishing? Probably never. But, it's nice to have in the toolbox. Additionally, the power displayed when casting an entire line has it's advantages on the freshwater flats. 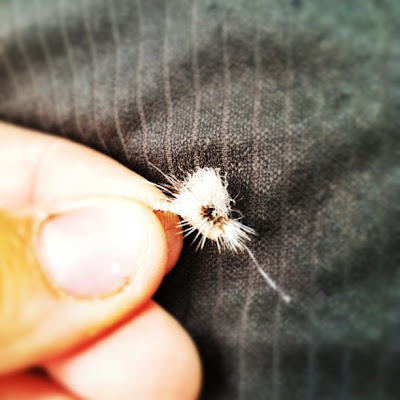 The rod could pick up 40 to 50 feet of fly line extremely efficiently, which allowed me to quickly re-target a fish that may have changed directions after I attempted to present a fly. So how did it fish? In the situations I encountered on the flats, shots at cruising or mudding fish were typically between 15 and 45 feet away. After my first experience with the Vapen Red, I was of the opinion that the rod generated impressive line speeds, was very accurate on casts from 30 to 70 feet in length, and struggled with some of the shorter casts that were required. However, with a little bit of time, I adjusted my casting stroke and the Vapen Red performed very well in close quarters. I am prone to throwing tailing loops, especially on longer casts. When casting the Vapen Red, the loop stability was very impressive. I rarely threw a tailing loop and most of the loops were particularly compact, which allowed for very accurate presentations. Additionally, the rod seemed to dampen vibration while casting, which allowed the casts to shoot straighter. There is nothing worse than a rod vibrating side-to-side as line shoots through it's guides. Maybe there are worse things. But, the result is a less accurate and efficient cast. That can be frustrating. The grip obviously stood out when I first laid eyes on the rod. But, like Moms worldwide always say "Don't judge a book by it's cover." Good or bad. I didn't want to rush to judgement on either side. Playing tennis in high school, I am familiar with similarly textured grips. So, while it was certainly a different feel for a fly rod, the grip wasn't all together unfamiliar. A YGF personal best Common. Vapen Red. During my first day on the water with the Vapen Red, there was a noticeable difference in how the grip felt in hand. Obviously. Did I like it more than cork? No. Did I like it less than cork? No. I was undecided. At times with a wet hand, the grip seemed to feel slippery. But, with time, the grip has become more and more comfortable and performs quite well when damp or downright wet. Ultimately, it will come down to angler preference. However, I would recommend the grip to others. It is my opinion that it provided more feel when casting and fighting fish. Redington hit their mark with the Vapen Red. The Vapen Red passed the Colorado carp test with flying colors and has earned the much heralded imaginary YGF seal of approval. A rod that displays this level of accuracy and power, as well as versatility is hard to find. One in the $300 range is that much harder. The Vapen (the cork grip) will retail for $299.95, while the Vapen Red (with the PowerGrip) will retail for $349.95. A deal at both price points, give the Vapen or Vapen Red a serious look if you are in the market for a new fly rod, regardless of your chosen quarry. This carp required a short, delicate, and precise presentation as it cruised directly towards me. The Vapen Red performed very well.